Great location, right off tarred county road. Main floor offers living room, dining room, eat in kitchen with new cabinetry and corian countertops laundry, and 3/4 bath. Along with the 2 car garage, there are two storage sheds on the property, a 50x100 and a 40x40, both with concrete floors. There are special assessments on the tax records, buyers agent to verify. 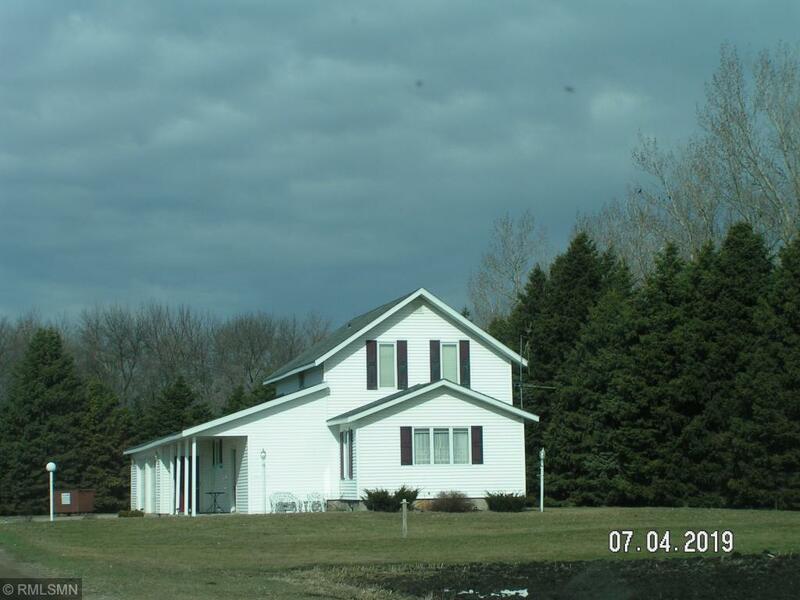 The acreage is 4.7 more or less, and additional acreage maybe be available for purchase.